Canada’s Harte Gold (TSX: HRT) said Wednesday it expects to begin commercial production at its Sugar Zone operation before year-end. Since landing commercial production permits from the Ontario government in September, it has been running full tilt — it poured its first gold bar in October, held the mine’s official opening later that same month, and conducted its first production blast in November. Now, Harte Gold is exploring plans to expand the size of the deposit, located 60 km east of Barrick Gold’s Hemlo gold complex, in White River. The Sugar Zone mill complex, Harte stated in a press release, was achieving consistent throughput of 575 tonnes per day, which means that more than 24,000 tonnes of material has been processed through the mill. 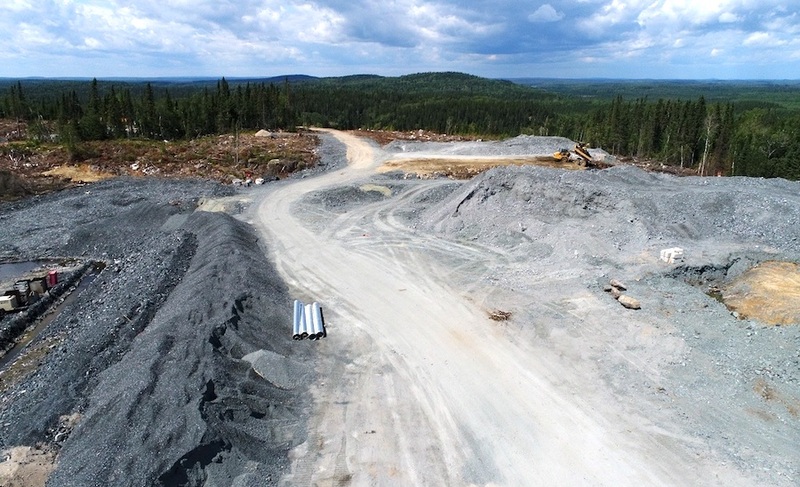 Until now, the mill has been fed from higher grade underground material and the surface stockpile, but Harte Gold President and CEO Stephen Roman said that would transition to solely underground material by early 2019. The company added that a flotation concentrate at higher than expected grades was being shipped to the Horne Smelter for processing. Gold is also is being recovered through a gravity circuit at site and shipped in the form of doré bars. Mine planning for next year and life-of-mine is underway, Harte said, adding it will incorporate a significant amount of definition drilling completed this year that was not included in the Preliminary Economic Assessment. Sugar Zone, the first new mine in the Hemlo gold camp in more than 30 years, has an indicated mineral resource of 2.6-million tonnes, grading 8.52 g/t gold for 714,200 ounces contained gold and an inferred mineral resource of 3.59-million tonnes, grading 6.59 g/t for 760,800 ounces contained gold. Based on estimates, the mine could run for 12 years and recover 904,000 ounces of gold.